Goats are a new experience for me. 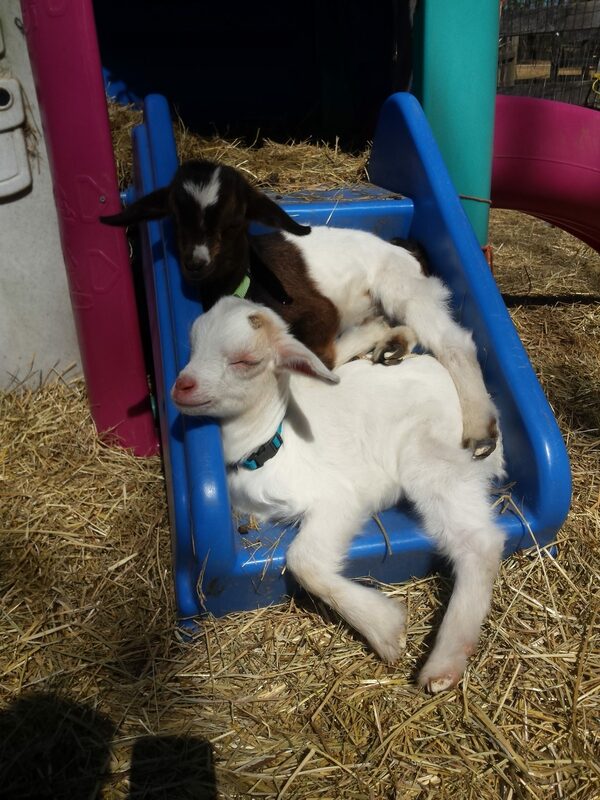 I’ve always been a bit curious about them, and with my interest in heirloom and rare breeds, Tennessee Fainting goats were particularly intriguing. 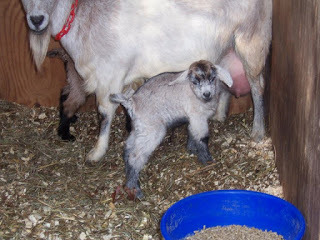 You can go to http://www.albc-usa.org/ for more information on rare breed conservation and to http://www.faintinggoat.com/ and http://www.myotonicgoatregistry.net/ for information on Fainting goats. 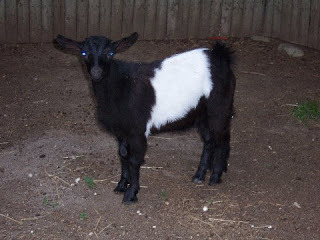 If you aren’t familiar with heirloom breeds, pop over to the website. There are many domestic livestock breeds in danger of dying out, and with them goes their unique genes. 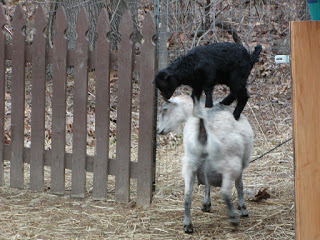 Fainting goats are very docile and much less likely to climb on things or escape. 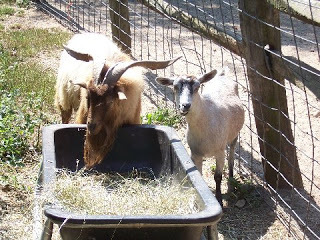 Additionally, the goats prefer to eat herbaceous plants (not grasses) including poison ivy, weeds, brush and multiflora rose. I’m hoping they won’t compete with the horses for pasture and will keep the weeds from taking over. 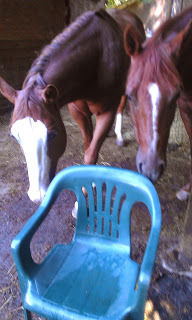 The picture above is Mimosa on the right with her boyfriend Sundance. We got Mimosa and Guy from Driftwood Farms, and Mimosa was bred to Sundance there before we picked her up.